The residents at Millbrook in North Riding had requested that the Property Manager source a solution for the very slippery tiles the builder had installed on the steps leading to the first floor apartments. 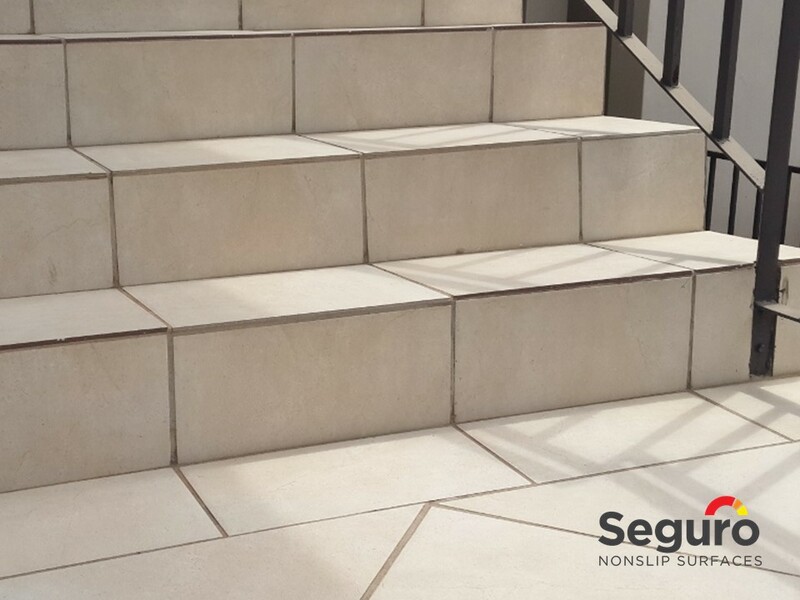 The steps were tiled with beige ceramic tile with a gloss finish which made them very slippery when it rained. Our titanium anti-slip coating was chosen to add slip-resistance to the surfaces. The tiles also required a deep clean to remove built up dust and dirt before we applied the coating. The anti-slip coating was successfully applied to the tiles on the steps and we are glad to have added significant slip-resistance to the tiles to ensure the surface is much safer to walk on in wet conditions.